Updated on September 2, 2013, 7 AM PST: The Wall Street Journal reports that Verizon and Vodafone negotiators have sorted out the details and agreed upon a $130 billion deal. 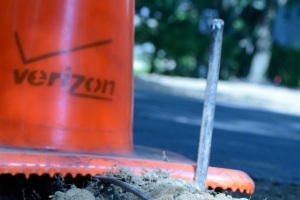 The long-rumored deal that would give Verizon (s VZ) the complete control of Verizon Wireless looks like it is finally happening. The board of directors of Vodafone, which currently owns 45 percent of the joint company and Verizon, are likely to meet later this week, according to numerous media reports. The two companies have not officially commented, but the news has been widely reported by Reuters, Wall Street Journal, Bloomberg and the Financial Times. Vodafone is the second largest wireless company in the world. Vodafone will get $130 billion from Verizon for its 45 percent ownership of Verizon Wireless. Verizon will fund this acquisition with $65 billion in debt. (Update) WSJ reports that $60 billion of the total $130 billion price will be in cash and rest will be in stock. Verizon Wireless was a joint venture created in 2000 and Verizon has had operational control of the company. Vodafone will now be left without a U.S. presence, but will have networks in the U.K., Europe, and emerging markets such as Turkey, India and part of the African continent. The deal would involve some serious deal and tax gymnastics to escape the tax implications that are likely to ensue as result of this deal. The question is what will Vodafone do with the money? Vodafone shareholders are divided on the issue, according to Reuters. Some want a special dividend issued by the company and buybacks of the stock, but others believe that with one of its best assets gone, Vodafone will need to find ways for future growth. Others want the company to lower its debt and increase credit worthiness. But most believe the company has to offer a quad-play package to stay competitive in the market. It acquired Cable & Wireless worldwide for $1.6 billion in 2012. It acquired German cable operator Kabel Deutschland for $10 billion in June 2013. It is building a $1 billion fiber-optic network in Spain in partnership with France’s Orange. In addition to furthering its broadband ambitions by gobbling up smaller broadband players, Vodafone can use the cash to retire a lot of its debt, issue a dividend and even go on a modest stock buyback plan. Of course there is the third option — there has been some talk that sees AT&T (s T) gobbling up Vodafone itself and growing its global footprint — especially since the market in the U.S. is getting increasingly intense with the emergence of Softbank-backed Sprint (s S) and a newly energized T-Mobile.